Case Study: Local Government marketing for social service “Ride Share” for Commuters. Challenge: To promote new ride share program for county to the population that was currently using public transportation. Solution: Thumbvista geofences main commuter areas including bus stops and train stations promoting new program with link to learn more. By Geofencing these areas we were able to get the Local Government’s marketing message to the right people at the right place and time. Results: The program ran for 8 weeks and resulted in over 3700 visitors to ride share website. The total CTR (click through rate) was .30%. Take away: In a local community focusing mobile ads on local and national news worked well. 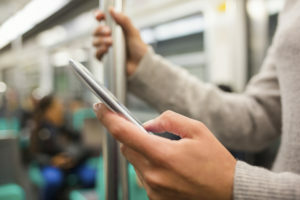 Many cities have transportation apps that help commuters know the time of running trains and buses and showing up on those work best. By focusing on transit apps and mobile sites the message was give contextual relevance that added to the effectiveness. We hope to enjoyed this geofencing case study for more insights or to brain storm for your next marketing challenge contact us today.